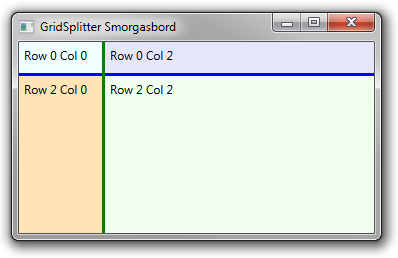 You can include more than one GridSplitter in a Grid by setting up the properties for each GridSplitter properly. 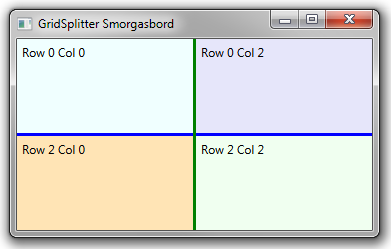 In the example below, we have both a vertical and a horizontal GridSplitter. 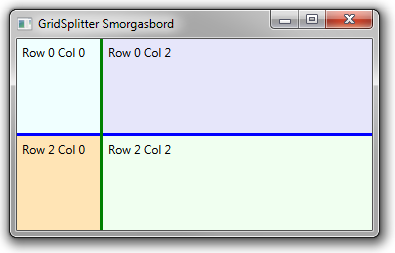 <GridSplitter Grid.Row="1" Grid.ColumnSpan="3" Height="3" Background="Blue"
<GridSplitter Grid.Column="1" Grid.RowSpan="3" Width="3" Background="Green"